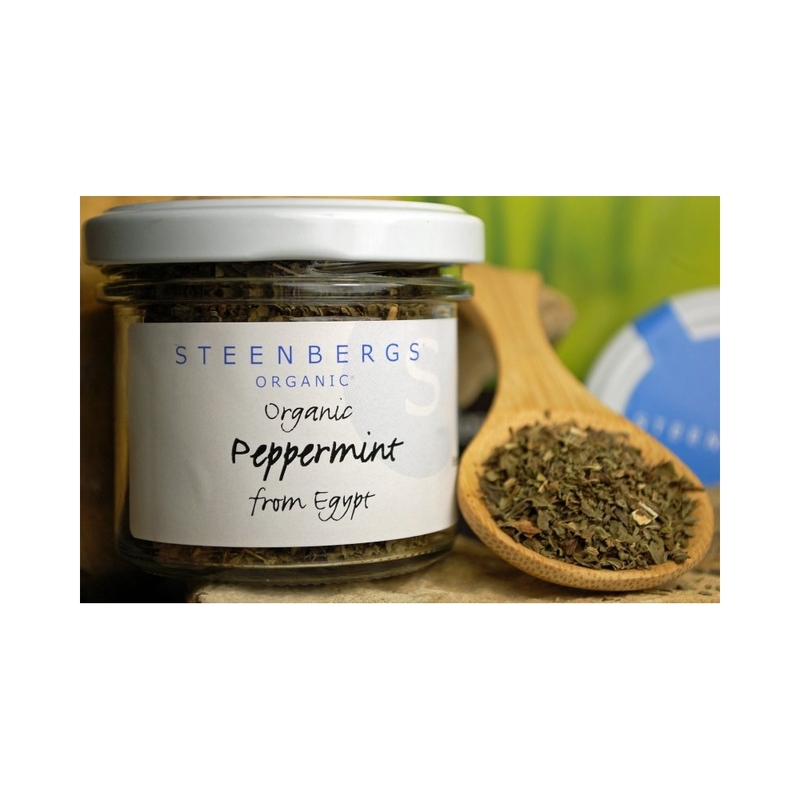 Steenbergs Organic Peppermint is a powerful, fresh-tasting herb - just the smell of this organic peppermint seems to cheer us all up. 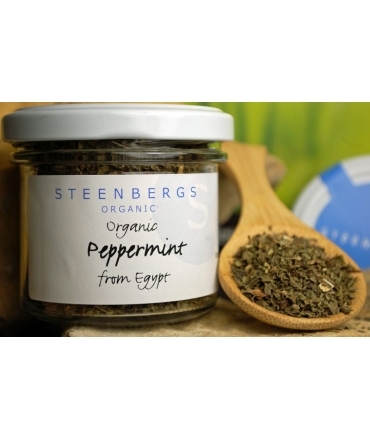 Steenbergs organic peppermint is delicious in pea soups. Of course, you can always use it to make organic peppermint tea - as we do - delicious and reviving. Strangely organic peppermint is a fairly new herb and seems to have come about from crossing watermint with spearmint some time in the seventeenth century. Organic peppermint has a sweet and mouth-freshening taste with a spicy, peppery heat definitely coming on through. At Steenbergs, we use Black Mitcham peppermint for our peppermint. Peppermint is a cross between spearmint and watermint that occured in Britain, called Mentha piperita officinalis. Peppermint is a perennial that is easy to grow, but beware as mints have a spreading habit so can run wild in the garden; it is best to keep them in pots. Peppermint grows to 30-60cm (12-24 inches) in height with an indefinite spread. Peppermint has pale purple flowers in the summer. Peppermint leaves are less pointed than spearmint leaves, with a more oval shape. peppermint leaves are dark green with a peppery heat and a very distinctive menthol-like, mouth-freshening, germicidal characteristic and some sweet woody tastes.